Winter is well and truly here, and we know that with all this time spent indoors, layers of heavy foundation and of course, the lack of sunshine, it might mean that pigmentation couldn’t be further from your mind! In fact, your pigmentation might have faded to the point where you could even forget about it. However, this doesn’t mean you should spend the colder months ignoring your pigmentation. When the sun comes out again in spring, it will come right back, and yet again you’ll have to deal with a blotchy and uneven complexion rather than just relaxing and enjoying the sunny weather. The winter is the perfect time to actually fix your pigmentation, so that by the time summer rolls around, you’ll have the clear, even skin you’ve always wanted, and the healthy skincare habits to match. Here’s how. Before we show you how to fix it, let us explain where it comes from. Pigmentation is caused by a type of skin cell called a melanocyte. These melanocytes produce pigment (melanin) when stimulated by hormones, sunshine and other environmental factors including pollution and fragrances. The actual purpose of melanin is to protect our skin from the sun, which is why people who come from hotter countries have darker skin than those who come from colder climates. When we tan, our skin is producing extra melanin as a way of trying to protect the skin from damage. When skin is exposed to a lot of sun over a long period of time, this can result in a permanent, but blotchy and uneven tan. This is the unwanted pigmentation that many of us who spent our younger years tanning now have to deal with. How can it be dealt with? The best way to get rid of pigmentation is, unfortunately, to never get it in the first place. It’s a very difficult thing to get rid of, because your body has created all that unevenly distributed melanin because it thinks that you need it. So, the best way to get rid of pigmentation is to show the body that you don’t need it, and that can be done by causing controlled damage to the melanin pigment. When the body detects the damage, it will flush away the damaged pigment, leaving your skin clear and even toned. 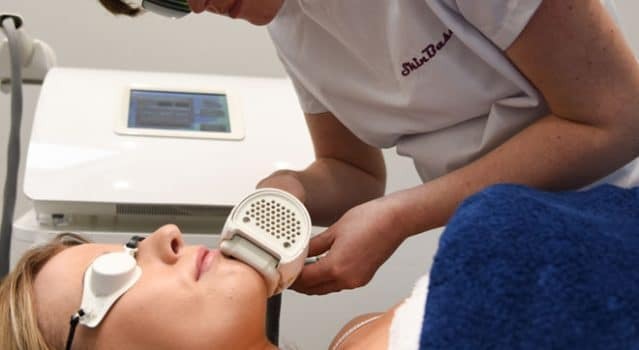 SkinBase offer an advanced treatment called Intense Pulsed Light which used specially filtered light waves to cause damage specifically to the pigment. Using a specialised handset, the pigment absorbs the heat energy from the light waves, which causes damage, and allows the body to flush it away using its natural healing and renewal processes. This treatment is painless, quick and requires no recovery period. The only thing you need to do to make IPL effective? Wear your SPF! Melanocytes will produce more pigment if they think they need to protect the skin so it is imperative you use a high SPF to prevent the pigmentation from recurring. Why should I get IPL during winter? When you’re having a course of IPL, it is absolutely essential that you protect your skin from the sun. IPL can only remove pigmentation if you don’t give your body reason to create more of it. So, getting a head start in winter means your IPL is likely to be highly effective, as you won’t be tempted to spend a day in the sun because of the weather and you’ll have a chance to get used to applying a good SPF every single day without the stakes being too high if you forget. Plus, it means that you won’t have to wait for another summer to come around before you can show off your fabulous, makeup-free (but well SPF-ed) complexion! 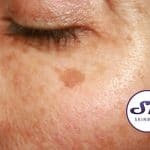 Hyper-pigmentation – What is it? How can I treat it? IPL – the perfect post-summer treatment?